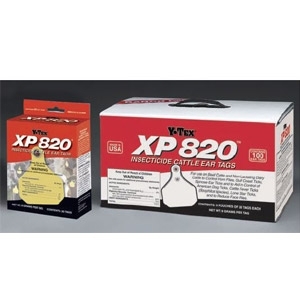 XP 820 is particularly effective against horn flies, including strains resistant to synthetic pyrethroid and organophosphate insecticides. 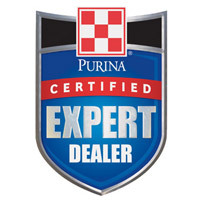 XP 820 is also effective against ear ticks, American Dog Ticks, Cattle Fever Ticks (Boophilus species) and Lone Star Ticks. The XP 820 tag has a net weight of9 grams and a metallic gold color.